Crazy Cat Lady (noun): A badge of honor for people who know cats are awesome. Do you often wake up covered in cat hair? Do you keep adopting more and more cats—then staying home Friday nights to cuddle them? Proclaim your feline obsession proudly! 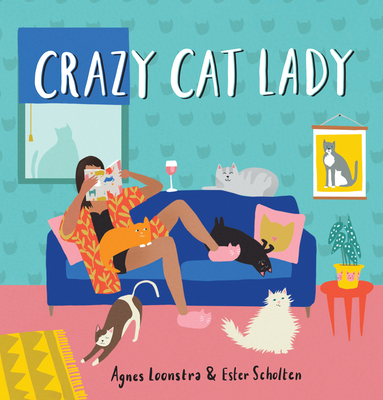 Joyfully illustrated with cheeky mottoes, flowcharts, and fun facts throughout, this little book is an affectionate tribute to cats and the cool ladies who love them. Includes a bonus sheet of colorful stickers! Agnes Loonstra is a freelance illustrator who has worked with a variety of international publications, including Flow magazine. Ester Scholten is an educator and writer with a passion for creativity and innovation. They are both self-proclaimed crazy cat ladies, and also unrelated doppelgängers who met each other by chance and became good friends. They live with their cats in the Netherlands.